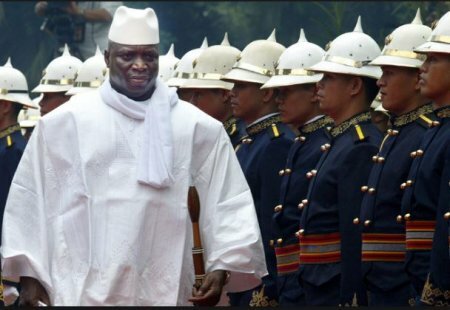 President Yahya Jammeh has shut down the country’s telecom giant, Gamtel’s international gateway system putting the whole nation incommunicado as voting underway in the country. Social media users – Gambians in and out of the country went to bed Wednesday with the disappointing news without any genuine reason advance ahead of voting in today’s election. President Yahya Jammeh, who is seeking 5th term bid is been challenged by Adama Barow who is leading a revitalized and united opposition coalition and Mama Kandeh of the Gambia Democratic Congress who was a former National Assembly member of the ruling Jammeh APRC party. The shutdown affects all the four GSM companies in the country providing internet service for mobile devices etc – Africell and QCell, which are privately owned; the state-owned Gamtel’s subsidiary, Gamcel, which provides 3G internet services; and Comium, the newest private player in the market, which provides 2G internet services.